The Passover Sabbath aligned with a 7thDay Solar Sabbath; and the 49-day count to Shavuot began. Shavuot = Day of Pentecost. The Angel Gabriel appeared to Zacharias in the Temple Sanctuary. Sukkoth = Tabernacles & Shemini Atzeret = Eighth Day of Sukkoth; foreshadowed Nativity 1-yr. later. Hanukkah(day-1) = Rededication. The angel Gabriel appeared to Mary in Nazareth (proliferation began). Hanukkah(day-2) = Conception was complete. Sukkoth = Feast of Tabernacles. Yeshua/Jesus was born on Tishri 15 & September 28th in 6BCE. The Church celebrates Christmas, December 25th. Shabbat ha Gadol = Selection and presentation of Yeshua/Jesus the Lamb, at the Temple. Bedikat Hametz = Purging of the Leavening. Satan was purged from the presence of Yeshua/Jesus. The Church calls this the Last Supper. Pesah = The Passover when Yeshua/Jesus was Pierced for our transgressions and died on Nisan 14 and April 9, in 27CE (i.e. AD). The Church observes this day as Good Friday. Seder = The Burial of Yeshua/Jesus. Hag ha-Bikkurim = Firstfruits.Counting the Omer (the 49 days) to Shavuot (i.e. Pentecost) begins this day. The Church celebrates this as Resurrection Sunday. Most Religious and Secular Historians correctly agree the birth of Yeshua/Jesus occurred between 8BCE and 4BCE, and not in 1BC/AD (NOTE: King Herod died in 4BCE). Rosh Hashanah = Feast of Trumpets. Hag ha Matzot = 7-Days of Unleavened Bread. Yom Kippur = The Day of Atonement. Purim = The Feast of Lots. Very few Jews or Christians realize the major events in the life of Yeshua/Jesus, the Jewish Messiah, were foreordained to occur on certain Jewish Festival Days, and not on the "holy days" as celebrated by the Church. 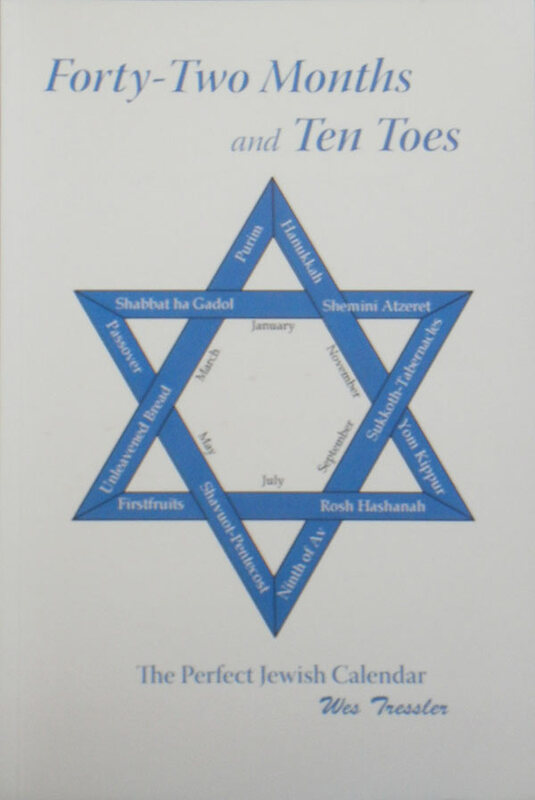 The intriguing Lunar Jewish Festivals correctly celebrate the same Messianic events that the Church incorrectly ascribes to days on the Western Solar Calendar. See the side by side comparisons between the Jewish and Christian events on this page. Jews and Christians alike seem interested in the End-of-the-Age events. However, we must first understand how seven(7) Jewish High Festival Sabbaths determined the sequence of the Nativity events; and how five(5) Festivals acted out at the Exodus from Egypt determined the Crucifixion events; before we can presuppose the order of the End-of-the-Age events. The three(3) Riddle Boxes below show the Jewish Festivals as they relate to the corresponding Church Feasts (i.e., holy days for the Church). The boxes are called "Riddle Boxes" because the dates of the Nativity and Crucifixion\Resurrection had remained unsolved for over 2000 years. However, this page will deal mainly with the events of the Nativity. In 7BCE the Lunar High Sabbath of the Passover, Nisan 15, aligned with a Friday/Saturday 7thDay Sabbath (April 14/15), so both the Pharisees and Sadducees began the 49-day count to Shavout/Pentecost, on the same day.This is important because an Appointed Time of the Messiah may be fulfilled when a Lunar High Sabbath aligns with a 7thDay Sabbath (i.e., they fall on the same day(s). Jews understand this concept but Christians may find it perplexing. Note that 7thDay Sabbaths are observed by Jews from sundown on Friday to sundown on Saturday. And Jews also observe nine(9) Lunar High Sabbaths that may fall on any day(s) of the week, such as, the Lunar High Sabbath of the Passover on Nisan 15, when the Seder (i.e., the Passover Feast) is eaten. Thus, Nisan 15 is always observed as a High Sabbath regardless of on which day(s) of the week it falls. See Leviticus 23:6-7. NOTE: The Pharisees always began their 49-day count on the day following the High Sabbath of the Passover, which was always Nisan 16. The Sadducees always began their 49-day count on the day following the 7thDay Sabbath, that fell on or after the Passover Sabbath, which could be on any day between Nisan 15 and Nisan 22. Thus, the Pharisees and Sadducees always observed Shavuot/Pentecost on separate days, EXCEPT when the Passover Sabbath aligned with a 7thDay Sabbath. (See chap. 11 & 12 in Forty-Two Months). Shavuot = The Day of Pentecost. See Leviticus 23:15-16 & 21. The angel Gabriel appeared to Zacharias in the Temple Sanctuary. (The day was, Sivan 6 and June 3/4, in 7BCE; from sundown on Saturday to sundown on Sunday). Luke 1:8-10, declared ALL the worshippers were praying in the Temple Courts while Zacharias was lighting the incense in the Holy Place. This affirms that both the Pharisees AND the Sadducees were celebrating the Lunar High Sabbath of Shavuot on the same day. The only Festival during which Zacharias' 8thDivision of Priests ever served, was Shavuot. The only Festival, during which ALL the worshippers would ever have been present in the Temple during the lighting of the incense, was Shavuot. (See chapters 11 & 15 in Forty-Two Months). This is when Gabriel promised Zacharias he would have a son and to call him John (i.e. John the Baptist). 7BCE was the ONLY year that the Lunar High Sabbath of the Passover aligned with the 7thDay Solar Sabbath between 8BCE and 4BCE. They aligned on April 14/15, which also happened to be Nisan 15. This confirms why the account given in the 1stChapter of Luke set the dates of the Nativity. (Data charts published by the U.S. Naval Observatory (USNO) were used to establish these dates). See Charts #11 & #16 in Forty-Two Months. Shavuot = Pentecost. The 1stConjunction of the 3-conjunctions occurred during the Counting of the Omer (i.e. the 49-days from the Passover Sabbath in April, during May, and to Shavuot the 50th-day, in June of 7BCE. Sukkoth = Feast of Tabernacles. The 2ndConjunction of the 3-conjunctions occurred during Sukkoth in October of 7BCE. Tishri 15 was the High Sabbath of Sukkoth and also a 7thDay Sabbath. This was the sign that Sukkoth would be the Nativity of Yeshua/Jesus; 1-year later on Tishri 15 in 6BCE, which was also a High Sabbath and a 7thDay Sabbath. Hanukkah = Feast of Rededication. The Jewish Messiah was conceived during the 3rdConjunction of the 3 conjunctions that occurred during Hanukkah in December of 7BCE. Here are the statistics. Elizabeth was in her 6thMonth of pregnancy during Hanukkah. The 1st and 8th days of Hanukkah are always Lunar High Sabbaths. In 7BCE, the two Lunar High Sabbaths of Hanukkah each aligned with a 7thDay Sabbath (on December 15/16 & Kislev 25, and also on, December 22/23 & Tibet 2±). Thus, Mary's proliferation for the conception of the Messiah began on the 1stDay of Hanukkah, and was completed on the 8thDay of Hanukkah. It took place during this Festival of Lights while Jupiter and Saturn were in the 3rdConjunction of the 3-conjunctions. These three conjunctions comprised the "Star" that the Wise Men (Jewish kings) saw, while they were still in the East. See Matthew 2:2 and Chapter 11 in Forty-Two Months. Sukkoth = The Feast of Tabernacles. See Leviticus 23:33-36. The Messiah was born during Sukkoth in 6BCE. Shemini Atzeret = The Eighth Day. See Leviticus 23:36. The Messiah was circumcised. Here are the concluding statistics for the 1st Seven-Festival-Pattern. According to the TORAH (i.e. the Levitical Law), a male child had to be circumcised on the 8thDay following his birth. The Wise Men arrived at the sukkah (i.e., a tabernacle or hut) during the night of the Lunar High Sabbath of Shemini Atzeret (i.e. The Eighth Day). It was also the night of the 7thDay Sabbath. NOW FOR THE ALL-IMPORTANT QUESTION! Was there a STAR OF BETHLEHEM? "Yes Virginia, there was a Star of Bethlehem!" A once every 805-year conjunction of Jupiter, Saturn, and Mars led the Wise Men to the sukkah where Jesus had been born 7-days earlier. They arrived during the night and Yeshua/Jesus was circumcised during the following morning, which was then, Tishri 22 & October 6th in 6BCE. It was still the Lunar High Sabbath of Shemini Atzeret and a 7thDay Sabbath. So the Messiah was conceived, born, and circumcised after a multiple alignment of Sabbaths. Here's another point of interest. The Messiah was dedicated at the Temple on a 7thDay Sabbath. The date was based on the purification rites for the birth of a male child. See Leviticus 12:1-8. Q. How old was Yeshua/Jesus when the Wise Men visited Him in the sukkah? A. He was only 8-days old. But according to Jewish reckoning, he was a 1stYear Baby at birth. He would become a 2ndYear child in less than 7-months. Yeshua/Jesus was considered by Jews to be a 1stYear Baby when he was born. At the following Passover, he would become a 2ndYear Child. Thus, he was considered as being "under two years old" (less than 6-1/2 months old by Western standards), when Herod killed all the babies "up to" their becoming a 2nd-Year Child. Herod....put to death all the male children who were in Bethlehem, and in all its districts, from two years old and under.... see Matthew 2:16. Q. Who were the Wise Men and when did they present their gifts to Yeshua/Jesus? A. The Wise Men were called "kings" in The Lost Book of Adam and Eve, and were likely descendants of one or more of King Hezekiah's sons. These sons of Hezekiah would have accompanied the Babylonian Envoys to Babylon to instruct them how to produce and maintain a working lunar calendar (see 2ndKings 20:12-18 & Isaiah 39:1-7). Their descendent kings would still have been living in Babylon when the Captivity occurred. According to Jewish Custom, gifts are presented to a male child when he is circumcised. Yeshua/Jesus received the Gold, Frankincense, and Myrrh that God had given to Adam. All Jewish Customs were afforded to Yeshua/Jesus for this event. Q. How did the Star of Bethlehem lead the Wise Men to Jesus? A. There is only one logical conclusion. Refracted light resulting from a unique alignment of the three "Wandering Stars" (i.e., Jupiter, Saturn and Mars) would have produced a "Triradiate Luminary" that projected a moving beam of light onto the ground in front of the Wise Men. The movement would have correctly moved in a southwesterly direction from Jerusalem to Bethlehem. See The Three Stars of Bethlehem on this Website, and more in Chapter 12 in Forty-Two Months. You will find an easy-to-read, heartwarming and compelling story in chapters 11 & 12, of Forty-Two Months. It brings these seven festivals together, and at the same time it is filled with facts and Jewish Customs that would have been complied with during the 1stCentury BCE. (The years are referred to as BCE and CE in all of this author's books, because Yeshua/Jesus was not born in 1BC or 1AD, as generally taught in Christian Churches). For the past 1700 years many in the "Church" have claimed "GOD has rejected and abandoned the Jews." But the Scriptures declare there will always be a remnant (10-20%) of the Jews that faithfully keep the Ten Words (i.e., Commandments), and observe the 9 Lunar High Sabbaths along with the 52-7thDay Solar Year Sabbaths, and celebrate the Festivals that the "Church" calls "The Feasts of the LORD."